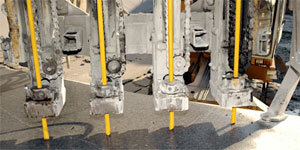 Atlas Copco has years of experience drilling with integral drill steel in underground and surface applications. To meet the tough demands of our many customers in the dimensional stone and underground mining industries, we’ve continued to invest in the production of premium quality integral drill rods. The Secoroc product range of high quality integral drill steel from 0.4 m to 11.2 m in length has helped customers around the world get the most out of their operations. 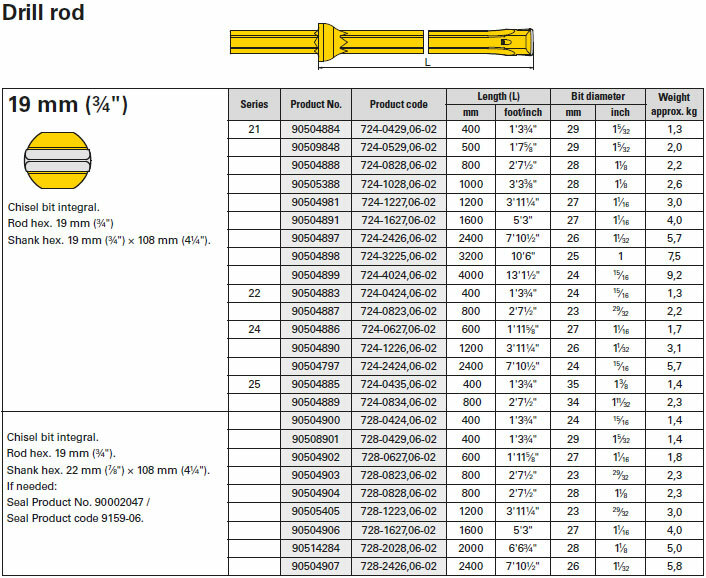 To meet diverse demands, we supply hexagonal rods, 19 mm and 22 mm in a wide variety of lengths and bit dimensions. The lowest cost per metre drilled is our guiding principle at Atlas Copco Secoroc. To live up to this motto, we never compromise on quality. That’s why we didn’t settle for less than super tough C253 steel when we designed our integral drill rods. Inserts are subjected to a high quality bronze-brazing process – using just the right temperature and technique – to reduce the risk of carbide failure. And the shank is through-hardened to ensure the highest possible toughness and wear resistance. What’s more, our integral drill rods are unique in featuring a rolled-in stainless steel lining in the flushing tube for unrivalled anti-corrosion protection.